Sauder is undoubtedly a unique place, filled with young and ambitious students who have a passion for getting involved in the world beyond just business – indeed, future CEO’s, entrepreneurs, and policy-makers are what make up the bulk of its student body. As such, Sauder students share a common set of values that lay the foundation for what the Sauder School of Business truly is, and although each student may differ on what their core principles exactly are, our values remain homogenous and firm. 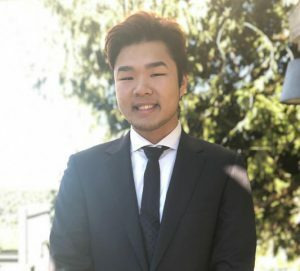 Highly motivated and passionate, Aldo is a student who will ensure that the values and interests of the Sauder community are represented beyond the walls of the Henry Angus and within the AMS. He is truly committed to ensuring that there is clear communication between the AMS and the CUS and that nothing important goes unheard. Having been described as honest, dedicated, and empathic by his peers, Aldo has made it a goal to always live up to these standards and to always deliver on his promises – he is involved in the Sauder community and genuinely wishes to serve it as best as he can. 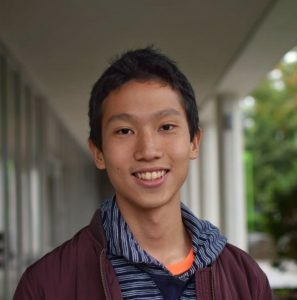 Hello Sauders, my name is Andrew Huang, and I am running to be your next AMS Representative. Working with the CUS First Year Committee has made me realize that I have a strong desire to keep serving our community. Using my strong leadership and communicative skills acquired over previous team lead positions, I plan to represent our community to the AMS, advocating for our student rights and funding. Transparency: If given the chance to represent both the CUS and AMS, I will make it my duty to keep all students informed about any changes, proposals, or events happening by publishing concise and informative bi-monthly updates. This information will be easily accessible and readily available at all times. Community: By being both inclusive and transparent to our student body, I hope to foster growth in our community — personally, professionally, and academically — as more access to a variety of resources will be provided. Furthermore, I plan to advocate your voices at CUS and AMS meetings whilst discussing important topics such as funding and policies, and make the decision that best benefits our community. Make sure to follow us on Facebook, Twitter, and Instagram to keep up to date with all things Elections!